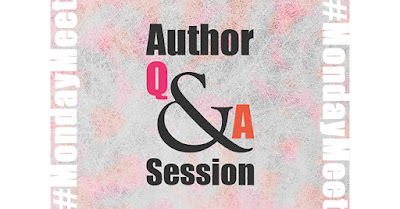 This week, we have our first children's author on #MondayMeet. 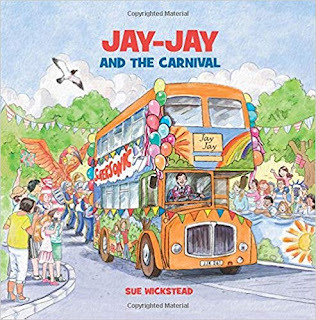 Sue Wickstead is talking to us about the Jay-Jay bus series. What inspired you to write Jay-Jay series? When my two children were young they attended a playgroup on a bus. The bus really got into my blood and I ended up painting it! I was also involved in raising necessary funds to replace the old bus with a newer project. It really was a fun journey to be involved in. How did a real bus project become a series of books for children? After a difficult time, I left teaching in order to write the history book about the original bus. I now work as a supply cover teacher and have been able to tell the many children I meet and teach about the bus as well as show them the photographs. Jay-Jay is the fictional story to go with the factual project. And why the name Jay-Jay? The real bus has a number plate JJK 261. If you search on the Internet you can find photographs of the original JJ – an Eastbouren AEC Regent. So you've just released the third book in the series, which is Jay-Jay and the Carnival? Yes. The story is based on a carnival which was an important event for our fundraising team. It also has real-life information about the original bus. 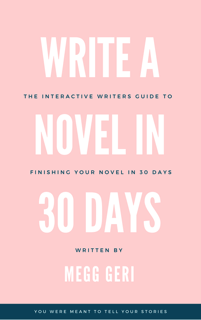 How long was the process from idea to publication? It is now seven years since I started the initial journey with the photographic history book. That book actually started as a display used to promote the original bus project. It was quite a big challenge to get the first story book in print as it was not taken up by any main publishing company. Self-publishing was an overwhelming and daunting task, and the cost of illustration was the tricky bit, but eventually I did it! That I should be proud of what I was involved in. And that the children's story book market is very difficult but that if you want to do something just hold true to yourself. I love to share stories and read to children. Do you have any writing routines? I have my stories in scribbled notebooks and just write down ideas. I have quite a few stories in stages of planning or draft. One great bit of advice I was given was "Don't stop with one and think that is it, start working on the next idea while promoting the first". Thank you for talking to us about the Jay-Jay series. It's been really interesting finding out about self-publishing from the perspective of children's books.